In 1996 a few Clumber Spaniel breeders and exhibitors had the idea that a local club for those who owned and loved the breed would be a great thing. It had never been tried before because of certain regulations that AKC had regarding breed clubs. These founding members of Williana would make a bit of history in the Clumber world in the United States. The name of the club comes from the three states that would become the boundary of the club, Wisconsin, Illinois and Indiana. The goal of the club was to support, encourage and advance the breed. Of course, holding a Specialty Show was high on the list of activities, encouraging participation in other venues of training and competition was also supported. The club thrived on the friendship and camaraderie of it’s members and the hard work of the officers who navigated the rules and regulation of the AKC in order to hold a Specialty Show. Working together for many years, those founding members were finally ready to hold a licensed show. 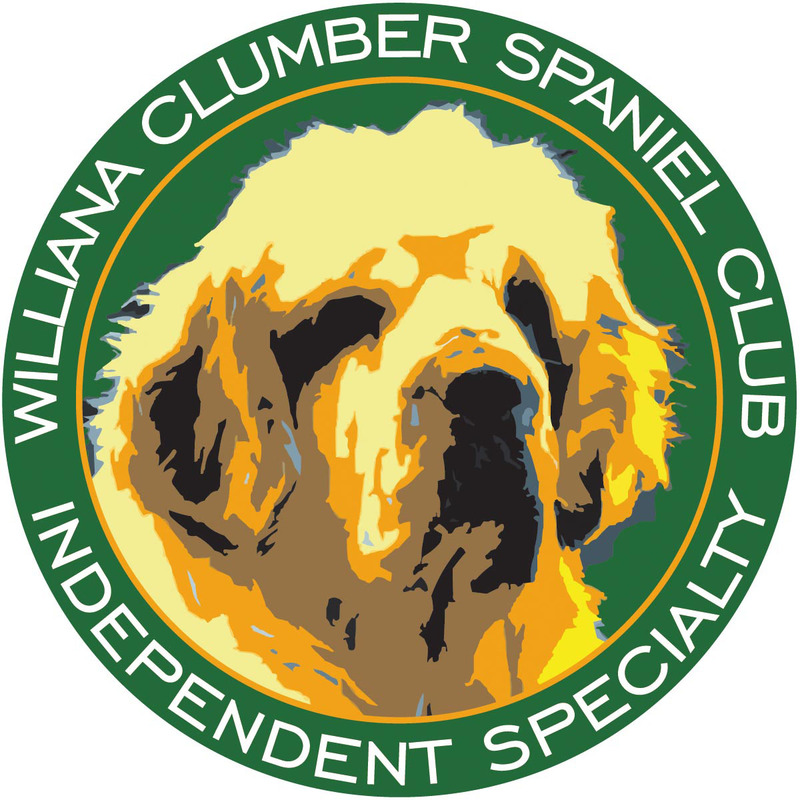 In 2003, the day after the Clumber Spaniel Club of America National Specialty, Williana held it’s first licensed show in Zion, IL. Since then, there has been a Williana Specialty every year. It has been held every year on the third weekend of June except when it has been part of the CSCA National, in 2003 and 2013. The location has been in Grayslake, IL for a number of years now.